There’s no denying that mobile applications (or apps) are as common as vanilla ice-cream today. 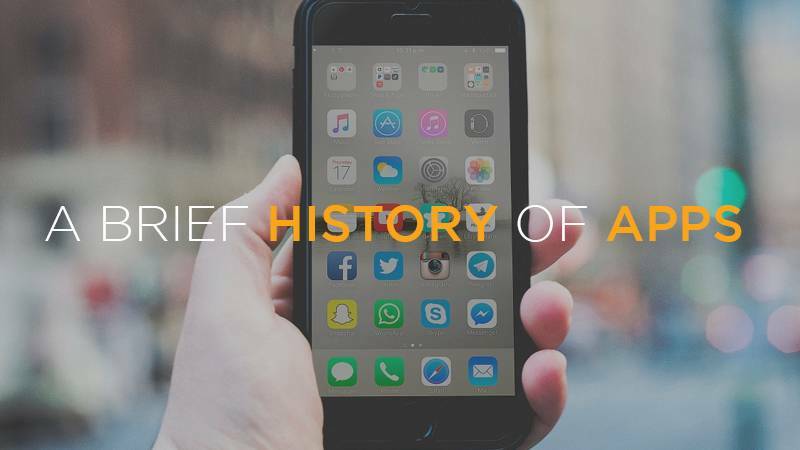 From sending a quick text on WhatsApp, to checking out the weather or to spending (way too many) hours watching animated candy get crushed; apps are a part of everyday life. But in 1984 mobile apps were a mere concept. Steve Jobs, 6 months away from launching the first Macintosh and 24 years before the first iPhone, predicted that software would be downloaded using phones. Whaaat? It seemed like a crazy idea back then. When the Apple Store made its debut in 2008 (can you believe it was only 9 years ago?! ), there were a mere 500 apps available. And we were enthralled – we had up to 500 apps to explore. Now, there are over 2 MILLION apps available for download from the Apple App Store, and close to 3 million from Google Play. It begs the question – what’s next? Will we continue creating apps until the cows come home, or will we hit a plateau? Either way, apps are here to stay for the simple reason that they make our lives easier. After Jobs’ prediction in ’83, the Newton, considered to be the grandfather of the iPhone, was released. The Newton was a bulky PDA – a palmtop computer – and had some of the first ever apps such as a web browser and email. And of course, who doesn’t remember enjoying a good game of snake … which can be regarded as another pioneer of mobile apps. Did you know that Snake was originally created in the 70’s as an arcade game but was then included on the Nokia 6110 in the early 90’s? The number of worldwide app downloads at the end of 2016 were enormous, reaching nearly 90 billion downloads, which generated a worldwide app store revenue of approximately $40 billion. Some of the top grossing apps are some of the simplest, appealing to our early 1990 games addiction. Included in the top 5 is the popular game, Candy Crush Saga. And in second place, is the online music library, Spotify. These simple top 5 app ideas are grossing up to $7 million per year. Crazy right? Do you have a simple but brilliant idea that you would like to bring to life? At Synapsis Software, we have the skills to put your ideas at the world’s fingertips through mobile app development. Whatever your vision, we have the collective expertise to turn your idea into a fully functioning reality. Sound good? Get in touch here. Bay leads with smart grave finder Technology – Then and Now | Synapsis Software SHe Files – A Unique and Innovative Software Product Synapsis Software Monthly Newsletter, January 2017 Synapsis Software Monthly Newsletter, December 2016 Synapsis Software can make digital marketing work for YOU! Synapsis Software Monthly Newsletter, November 2016 Synapsis Software Monthly Newsletter, October 2016 Synapsis Software Monthly Newsletter, September 2016 10 Reasons why Facebook is good for business!